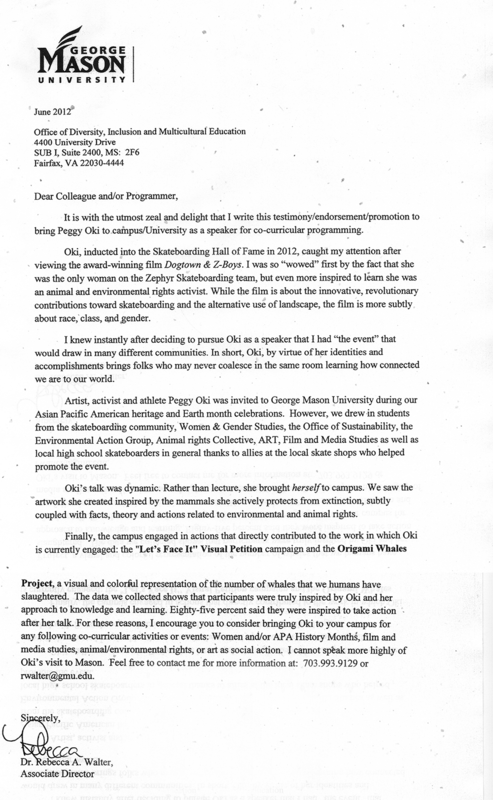 Peggy Oki, from Z-Girl skateboarding legend* to life as an educator, environmental activist, accomplished artist, surfer and rock climber. 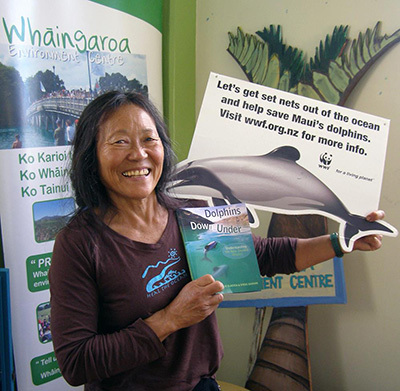 A tireless advocate for cetacean rights through her Origami Whales Project, and “Let's Face It” Visual Petition campaign, Peggy has a deep commitment to our planet that drives her to inspire people around the world to make a difference. 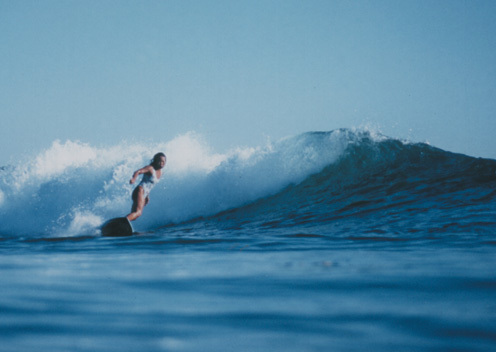 *In the 1970’s, Peggy broke barriers in the world of skateboarding as the only female member of the Zephyr Skateboard team, made famous in the film Dogtown & Z Boys. In 2012, she was inducted into the Skateboarding Hall of Fame. Both surfing and skating continue to be a vital part of her daily life. Peggy inspires not only with her art, she inspires with her actions. 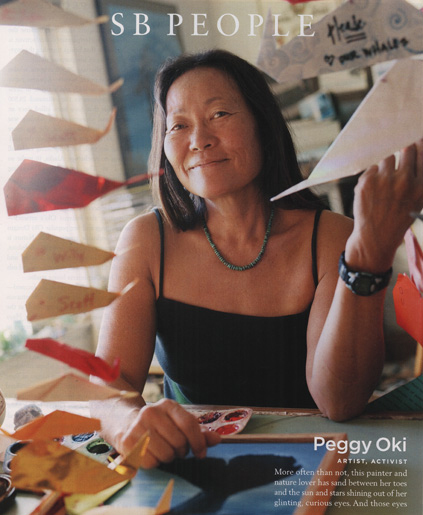 Peggy Oki’s original artwork has been displayed in twenty one-woman exhibitions, forty group exhibitions, and more than eighty private and commercial collections. Worldfest 2014, Grass Valley, CA. Green Festival 2014, Los Angeles, CA. EF Education First, International Language School, Santa Barbara, CA. * Presentations have included a screening of Dogtown & Z-Boys and/or the Origami Curtain of Whales exhibit. Thank you for your interest. I look forward to receiving your inquiries and comments.